Feeeling pretty good about this piece. 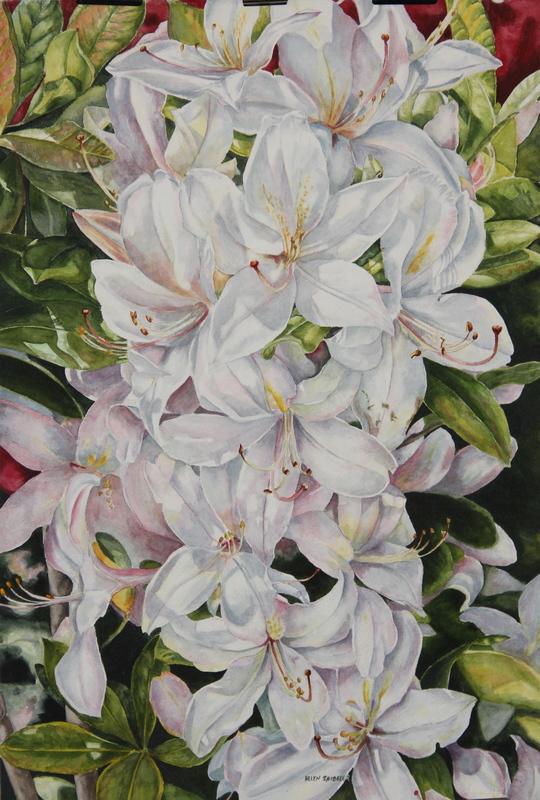 This watercolor painting of white azaleas seemed to take forever. I thought it was completed a few days ago. Then I got looking at it with eyes all squinty. 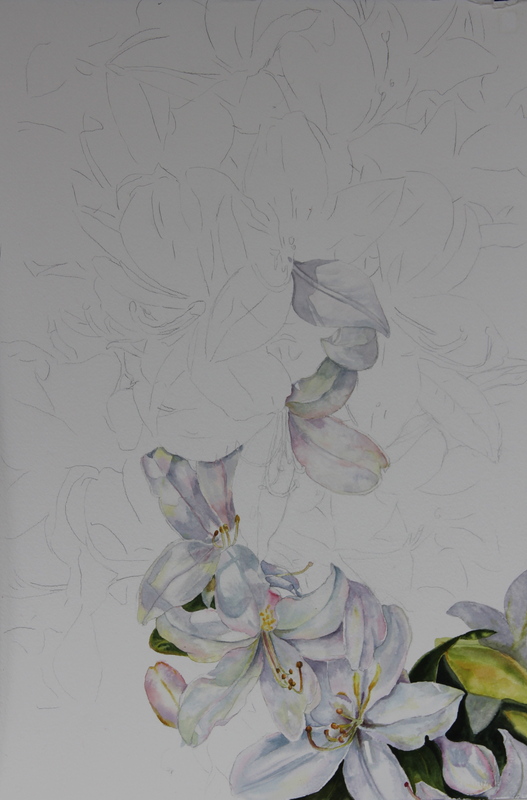 I had to go back in with rose dore and push back some petals – they needed more distinction between them. 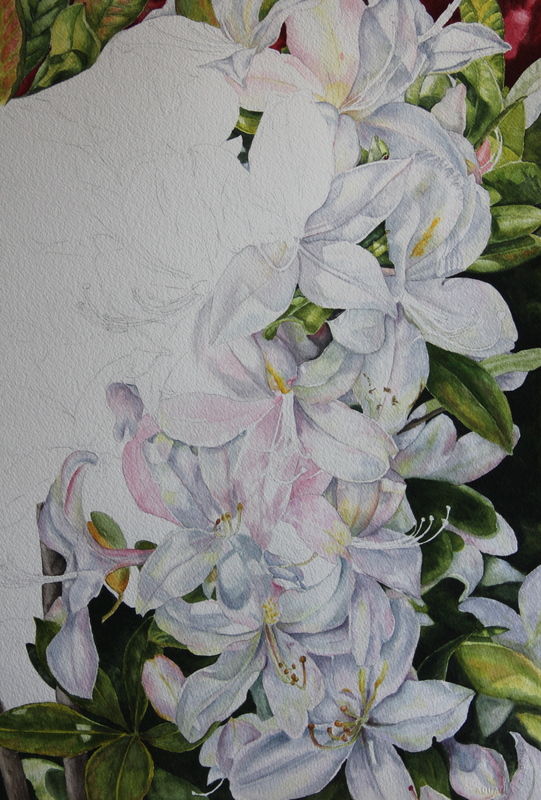 And then later I got looking at it and went back in to sharpen up some of the shadows. 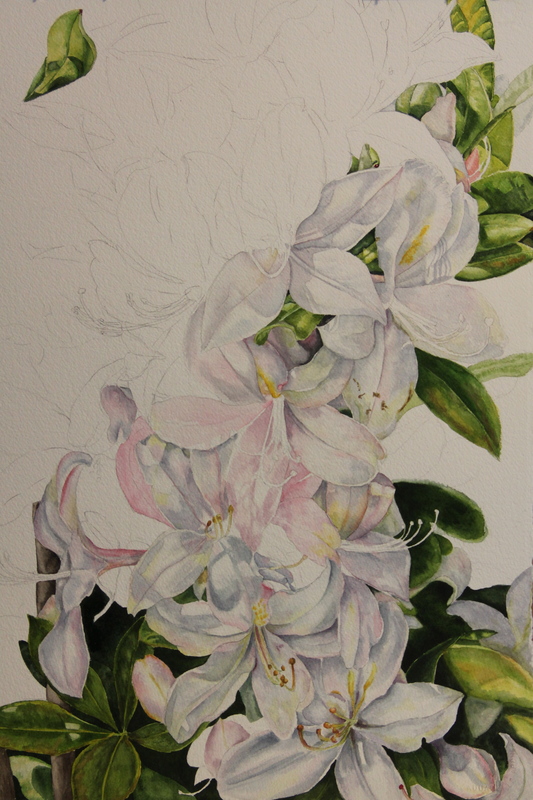 I am re-thinking my white floral series – this is tricky work. I have one more I have to do… actually two more… then I will be looking for some more intense colors to work with! 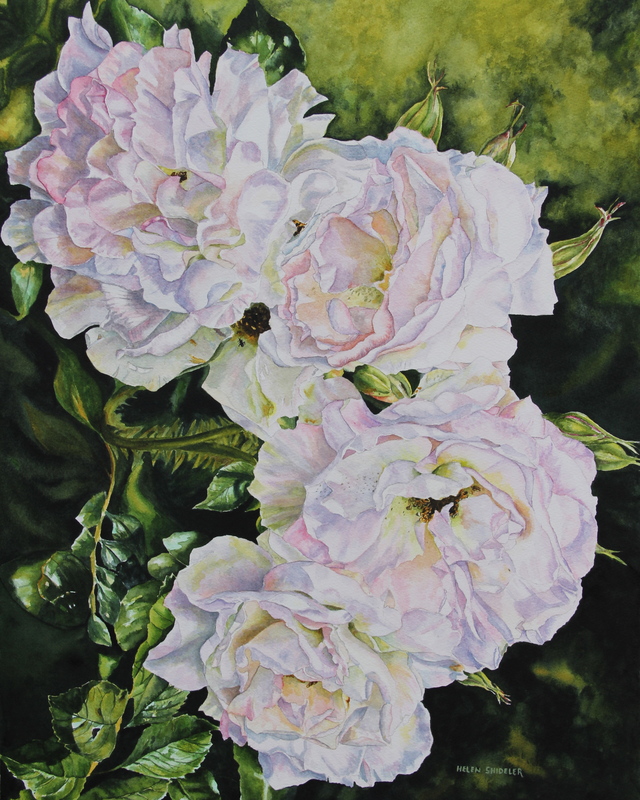 This commissioned watercolor painting of white-ish roses is now complete. I did the usual staring at it for while – then adjusted some of the background by lightening some areas and intensifying the colors in others. Then I did a color balance check and deepened some of the shadows in the roses. This rose-bush grows at the back corner of our garden. 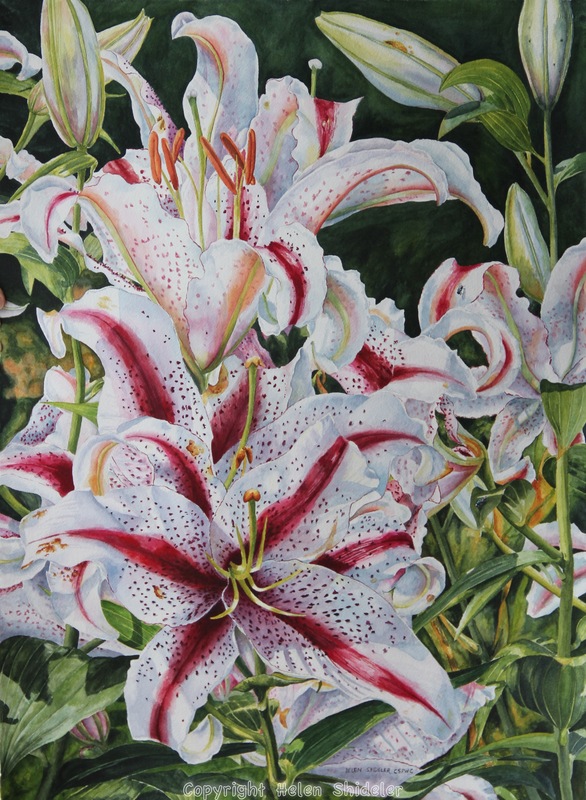 The flowers are ivory-white and, as the age, they get pinkish. By the end of the summer they are really pink and much less white. So happy there are lovely – as they are a thorny mess to prune or get close to. Even sniffing or photographing them can be hazardous to your fingers and nose!